Lucio and Luna are imperfect beings, so skinny that they become almost invisible. Their love is passionate, extreme, violent, like their bodies destroyed by food deprivation. When Luna decides to take refuge in Lucio’s house, their love will have to deal with their problem. 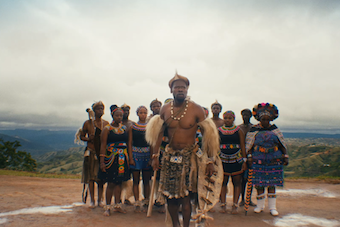 An ordinary day at a Zulu cultural village. Shaka, their star performer, expresses his frustrations to his co-workers as he sits on display for tourists. When he reaches the end of his tether his s protest reaches Shakespearian proportion. The land expels and the ocean drowns, departures repeat themselves with each generation. 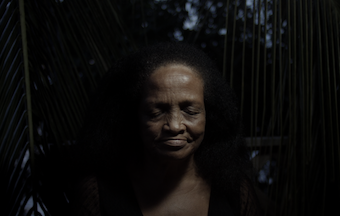 Selva dances within voices and memories, in a game that prepares her for the inevitable separation. Santeri looks on as older guys are driving their motor bikes and wants to be part of their world. He combs his hair and goes to meet his friend Anna. At Anna‘s home childhood’s anarchy meets puberty. Atimaley and Devi’s village is haunted by memories. When a dear friend leaves the village without saying “goodbye”, the old couple faces a dilemma; to keep living with the memories or to leave the village for good? Why create anything when everything ends as dust and grime? Is it for the sake of remembrance? Is it for the immortality of the subject or the ‘artist’ itself? Or for the hope that our ‘work of art’ will one day come alive and lift our souls from this mess of life ? 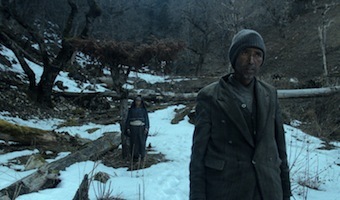 ‘Dadyaa’ started out as an exercise to test these very themes around an old couple in the highlands of Jumla. But once again, life happened and the wonderful mess around it helped us as directors to draw parallels between our fictious world and the reality that exists in remote Nepal.